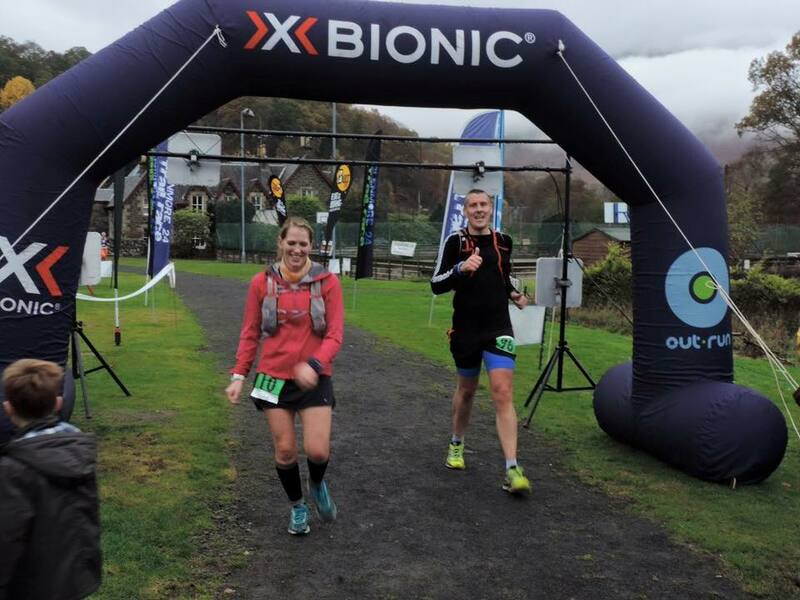 Glen Ogle 2015 – my last race of the year. 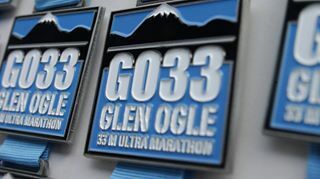 The lead up to this race hadn’t been a great one as I’d hurt my back at work and had limped through the 2 weeks leading up to the race with minimal effort and mileage. I’d had a fantastic year up until now, starting every race injury free and feeling good (except the Haddington half in August, but the less said about that, the better!) so come race day my only real goals were to beat last years time and finish pain free. Race morning began at about 4am. I woke up before my alarm and instead of going back to sleep for another half hour or so, I got up and started the race morning preparation. That done, I still had over 40 minutes until Alastair was to pick me up so I took the dog out for a walk seeing as she was awake as well (and expecting breakfast on our return, so was heartbroken when I set her back to bed!). Just before 6am, Alastair arrived with Andy and we began the hour a bit journey up to Killin, joining the steady stream of tail lights of all the cars also heading in the same direction. The Ultra runners are back in town!!! After a quick registration, I dropped off my drop bags and went about saying hello to all my friends. I felt ridiculously calm and even as we listening to the briefing and shuffled up to the start line, I didn’t have a single ounce of the pre-race nerves I usually get. Before I knew it the race had begun and we were on our way through Killin and on to the first forest climb. I’d started a bit further back than usual so spent the mile or so chatting to everyone around me and then falling into line as we began to stomp our way up through the forest. We were surrounded by stunning autumnal colours and an eerie low lying mist as we made our way up and up through the forest for the first 3 mile or so climb. I tired my best to keep my pace at something above a shuffle up the hills, slowing to a walk only when absolutely necessary. The road section towards Balquhidder and round to Strathyre has been the worst part of the race for me for the past 2 years as it is constant ups and downs on tarmac, but this year I wasn’t going to let it beat me! The rain was picking up but still I didn’t want to break my stride and walk to put my jacket on. Stomping all the way around to the road that leads back to Starthyre, I finally admitted defeat and walked up a hill while taking the time to finally put another layer on even though I was already soaked to the core. The field of runners had really spread out by now and I was passing and being passed by the same people time and time again as we made our way back to Strathyre, down across the shoogly bridge and into check point 3. The hill out of Strathyre. Ouch. I used this to slow down and refuel with cheese seeing as my other option of a cereal bar had pretty much frozen and almost broke my teeth! Nearing the top, Billy from my club whizzed by having jogged all the way up! Up and over the top of the hill and finally it was down, down, down for a few miles and then back on to the cycle path and on the return journey to the finish line. We caught up with Graeme and Billy and the 4 of us struggled up the zig-zags together. They are ridiculously steep – I can’t imagine going up them on a bike!! The stretch back up to the viaduct is on a gradual incline and last year had been a nightmare. I’d walked sections, hobbled sections and felt like I was about to keel over, but this year I was determined to run all the way up to the check point. Marathon distance came and went in just over 4 hours and before I knew it the final check point was on the horizon…. could I actually finish this race in around 5 hours?! Photo from Chen Chee Kong. Coming back into the forest for the final section, my back started to seize up. Every time I hit section of down hill I’d get shooting pains up my spine. I tried to relax and lean backwards and drop my shoulders, but the downhill stomping was agonizing. 30 miles ticked by and I knew it was less than 3 to go… so close to 5 hours, I couldn’t break now! I pushed up the inclines, passing people who were walking, and shuffled down the declines with pain written all over my face. The last stretch coming out of the forest felt like it went on forever but finally we were spat back out on to the road and across the bridge back into Killin. Just as we crossed the bridge, David Scott flew by me at an incredible speed! He was also pushing for under 5 hours, but as we came back into Breadalbane park, we noticed a line of tape going round the perimeter of the park, adding on a good few hundred meters. So close…. yet so far!! 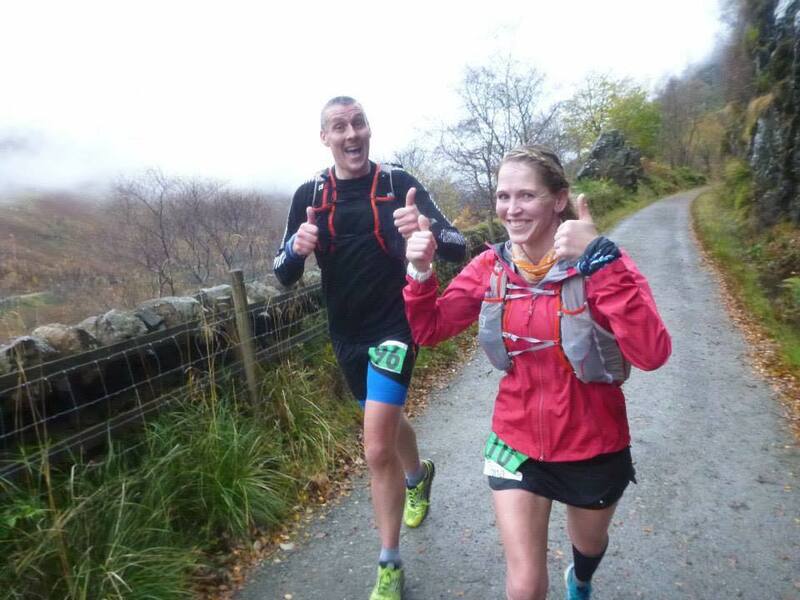 But 1 minute over 5 hours, 40 minutes off last years time and feeling good after 33 odd miles? I’m over the moon!! So the racing year has come to an end. What a year it was, but I think I’ll save these ramblings for another post. So much has happened and I owe it to so many people, so big thanks to you all. I can’t wait to see what 2016 has in store! And I’ll definitely be back for Glen Ogle round 4, sub 5 has hopefully got my name written all over it! Well done to everyone from my wee running club who completed this race. 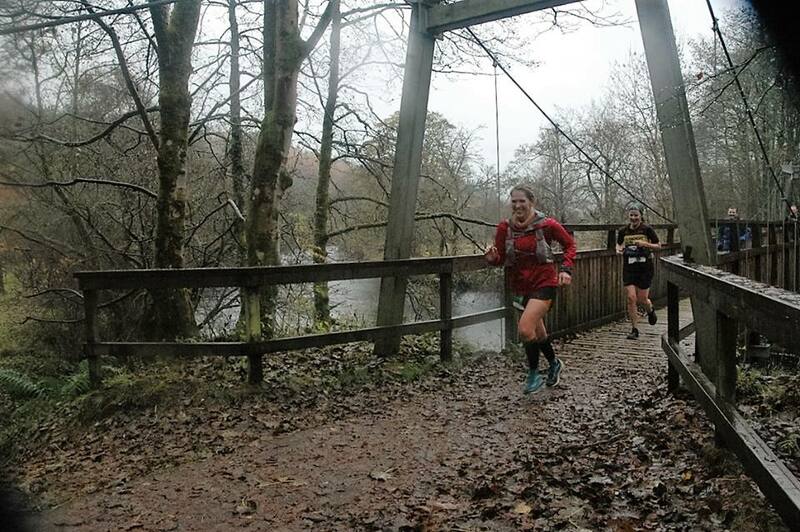 I think there were 25 Wee County Harriers there on Saturday and every single one of us finished the race! !